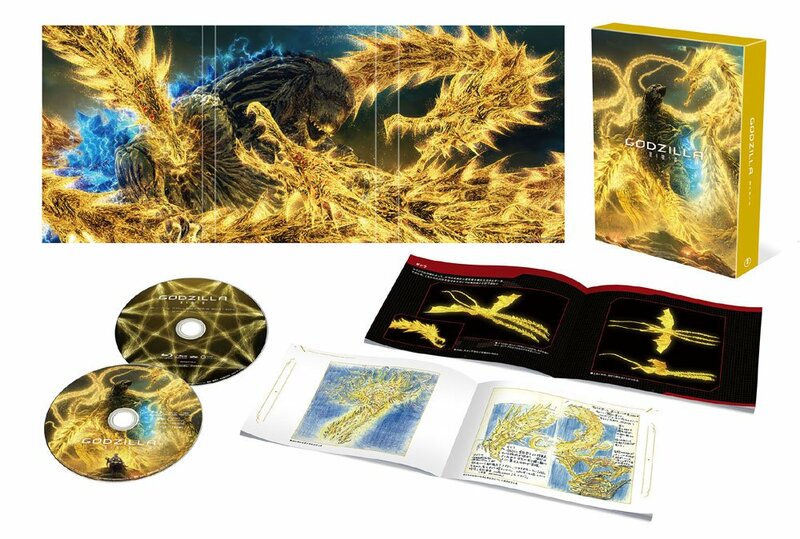 Toho Animation has announced the Japanese release of Godzilla: The Planet Eater on Blu-ray and DVD. 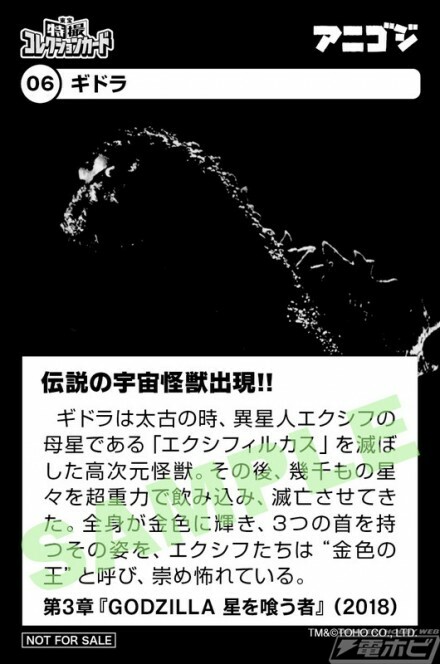 Three versions will be available Collector's Edition Blu-ray, standard Blu-ray, and DVD. The collector's edition will feature a three way case (three sections), two discs, premiere screening video, music videos, collectible sketches, and booklet. It will feature trailers, special report, and commentary from cast and crew. 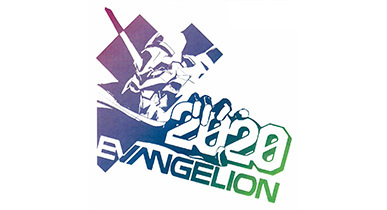 Collector's edition will retail for 9,504 yen, standard Blu-ray 7,344 yen, and DVD 6,264 yen, with a release date of May 22, 2019, there is a early reserve bonus from Toho Animations site as well. 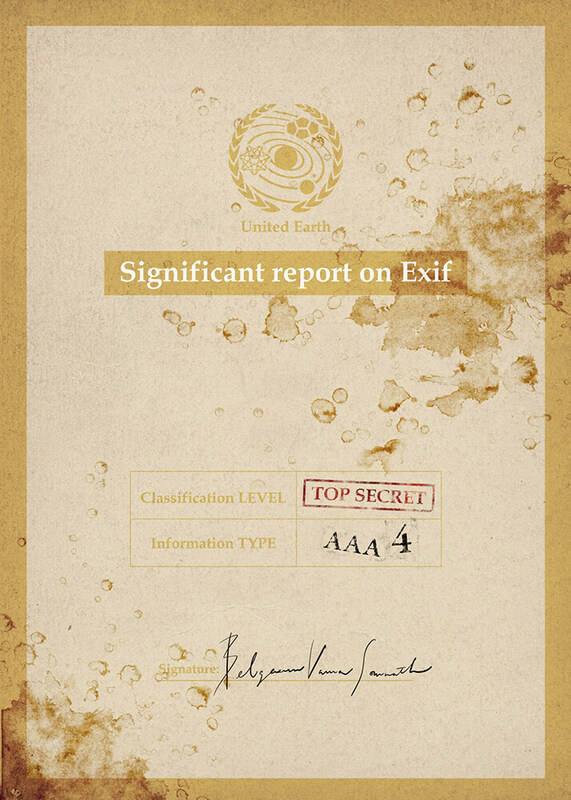 It is not known if there will be a US release. 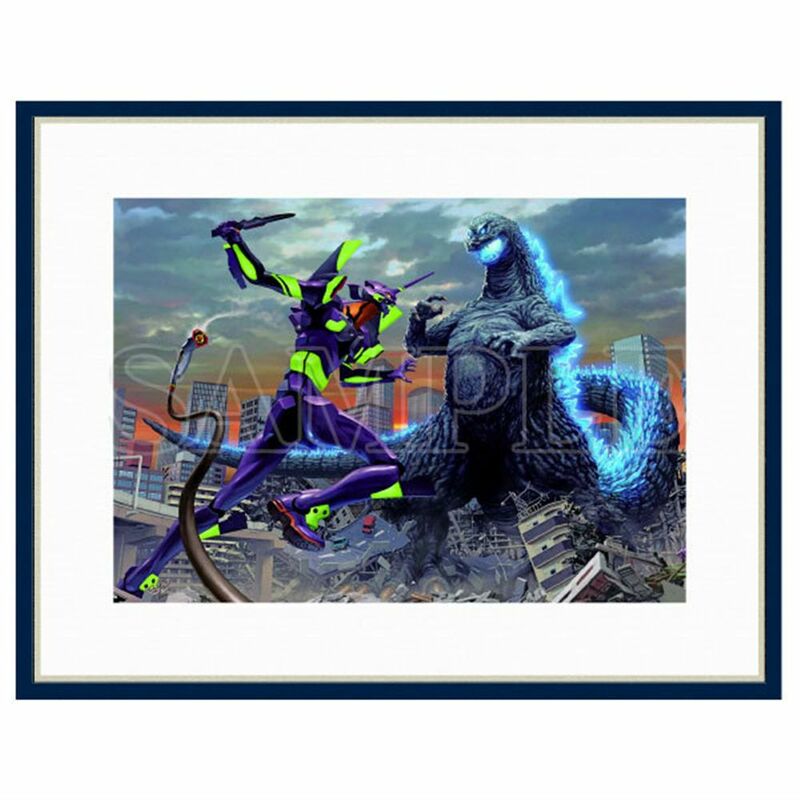 The Godzilla Store is releasing five limited edition art print based on the Godzilla Vs. Evangelion crossover. 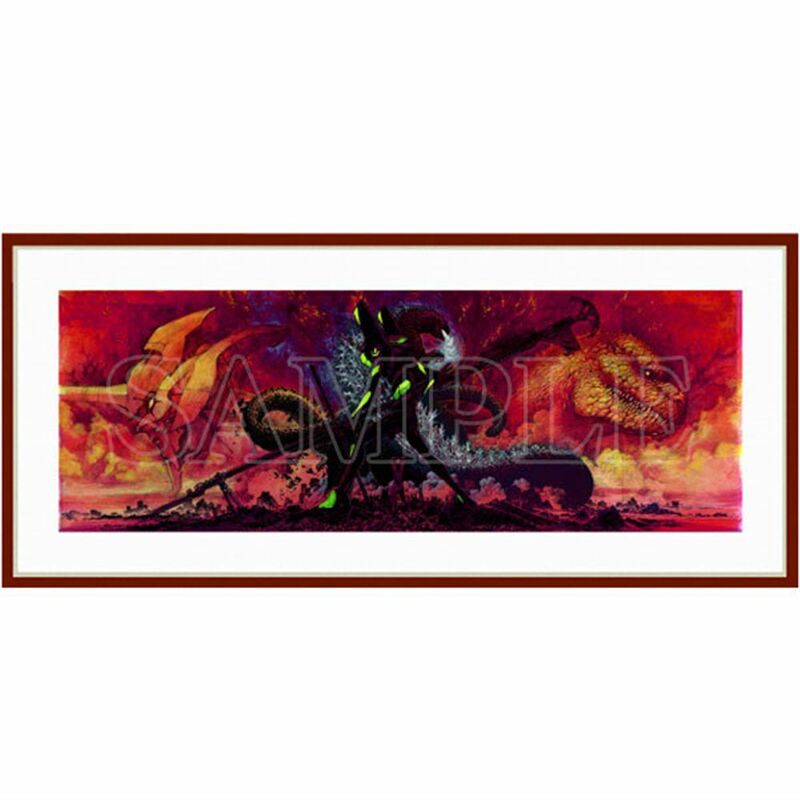 The five prints, all which have been seen previously, include art by Masahiro Maeda, Yuji Kaida, Tetsu Amamiya, Rockin' Jelly Bean, and Takashi Murakami. 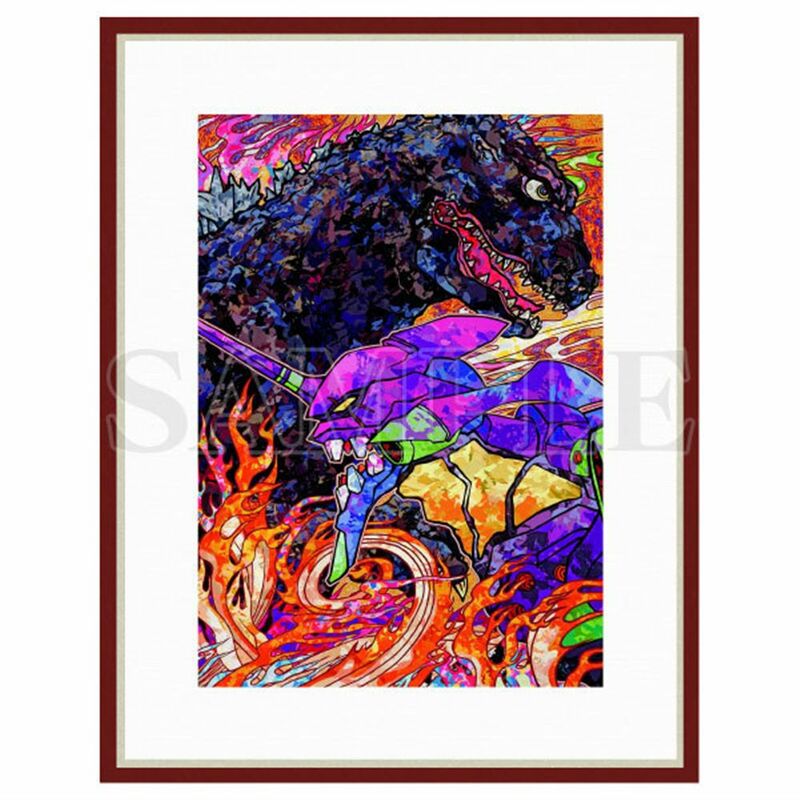 Each is a high quality print (10 colors) with a wood frame that retail for 48,600 yen. 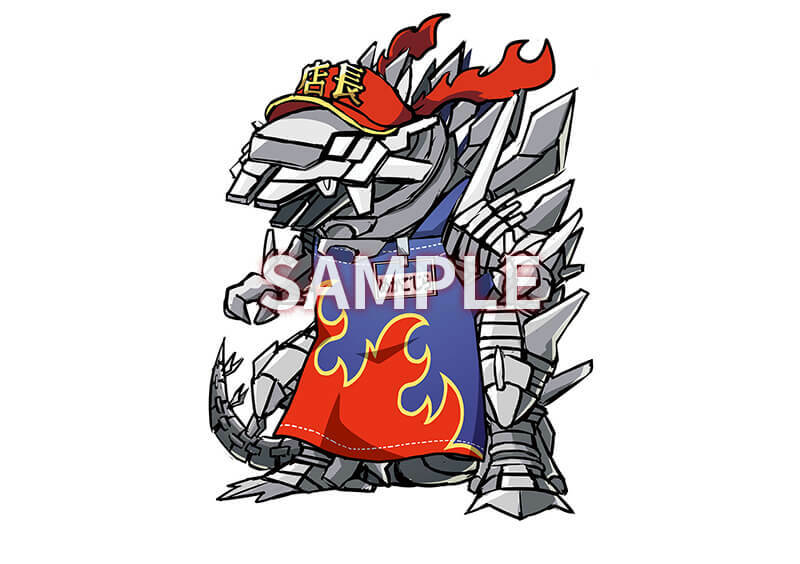 They can be ordered from the Godzilla Store now. 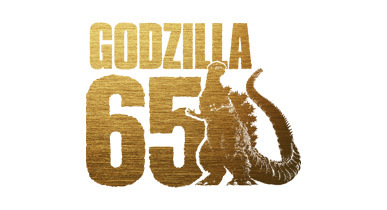 “Godzilla” celebrates its 65th anniversary and we are very happy to be able to collaborate in the year 2019. 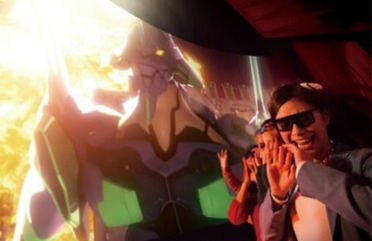 The attraction "Godzilla vs Evangelion" starts on May 31, and the movie "Godzilla King of Monsters" will be released the same day. 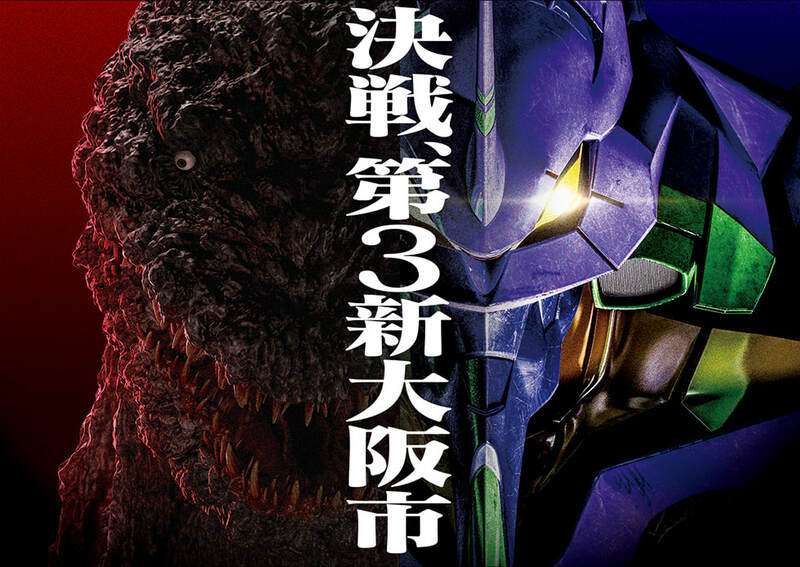 This time, the film “Shin Godzilla” production staff are rallying together to take on the new challenge of “Godzilla vs. Evangelion”. Please look forward to collaboration, overwhelming quality and powerful images that you will never experience elsewhere. 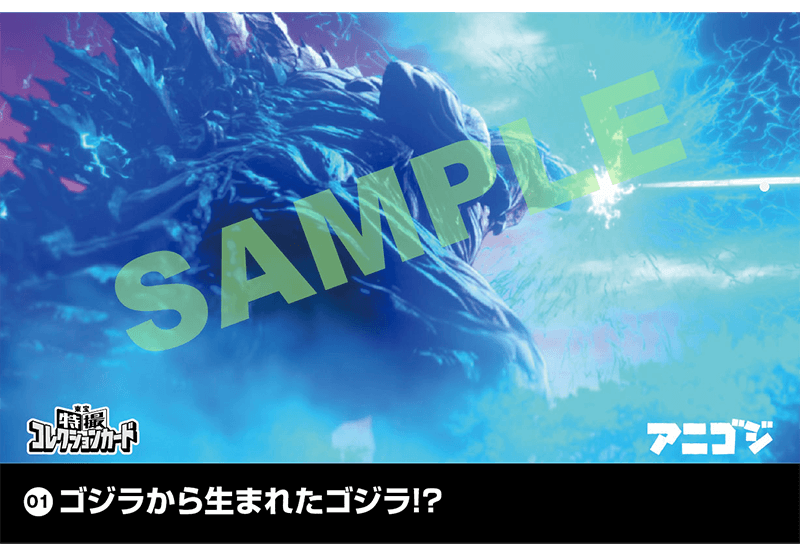 In "Evangelion", we have been working on Universal Cool Japan three times so far, and this time, it is a collaboration with the strongest character "Godzilla" that Japan is finally proud of! 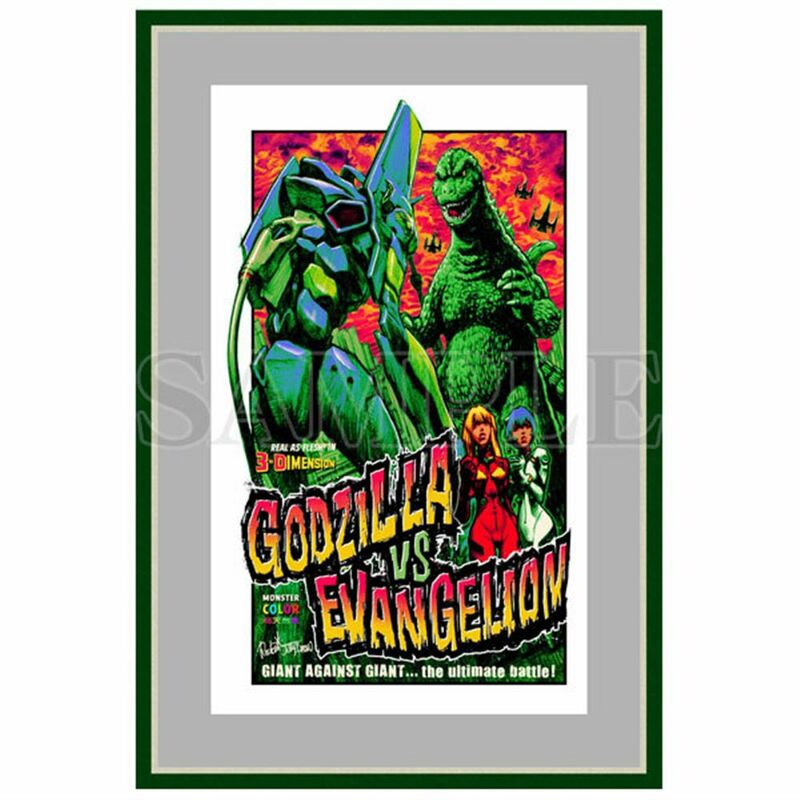 The sound of "Godzilla vs. Evangelion" is exciting. 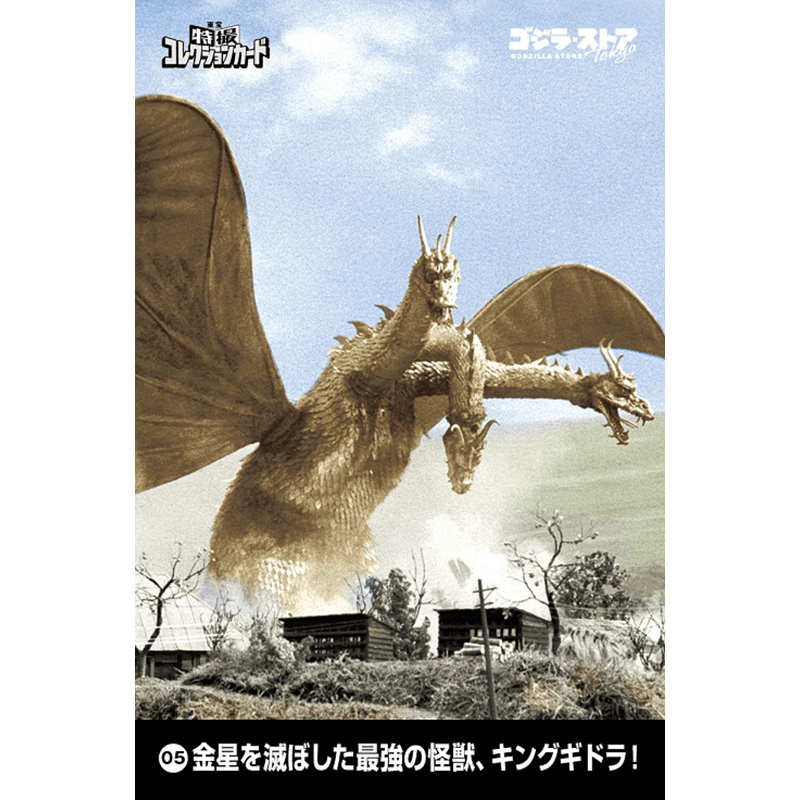 The sound of this sound is Kimo of this project, but it was the otaku joke that was "interesting" Godzilla vs. XXXX "as it was when we were students several decades ago. I really look forward to it becoming an attraction. 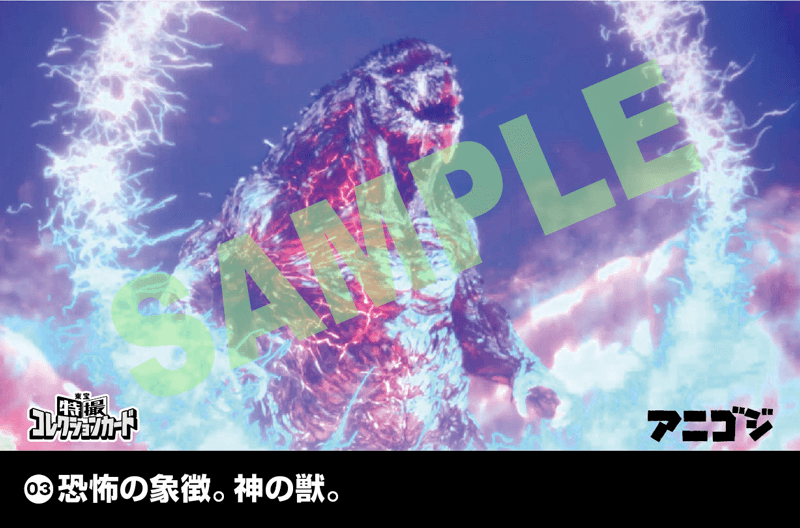 Toho has announced a promotion for theaters showing the third Godzilla anime film, Godzilla:The Planet Eater. 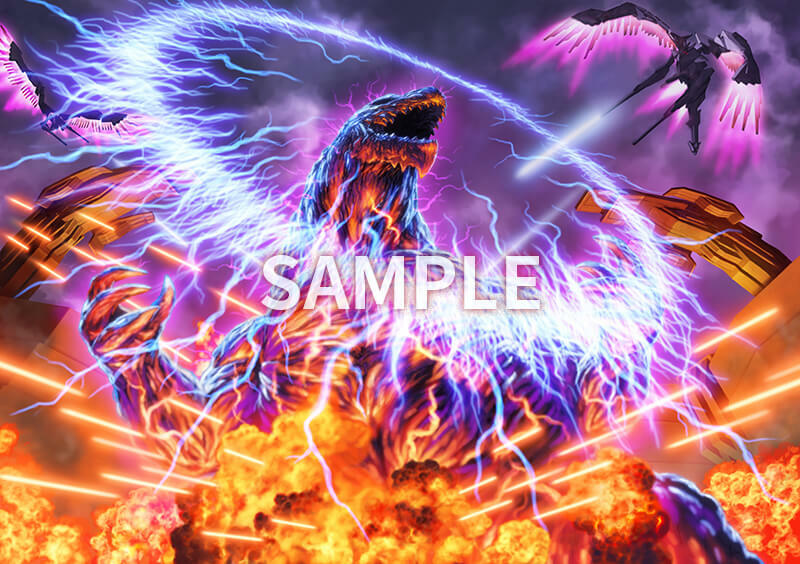 Four limited edition cards (in two packs) for the Toho Special Effect Collection card set will be available at theaters November 9 to November 16, they include Godzilla Earth, Godzilla Filius, Kamacuras, and Dogora. 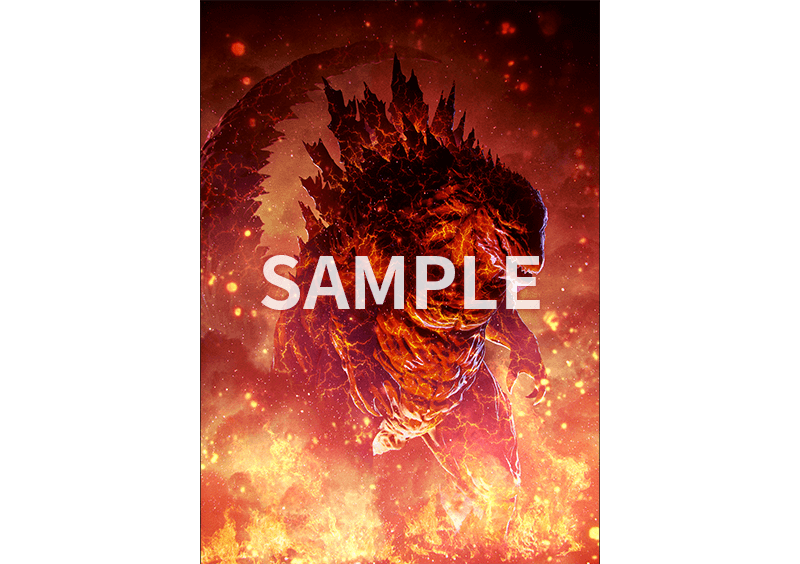 The weeks of November 17 to November 23 and November 24 to November 30 will also feature limited edition cards (to be announced later), and the 4th week of release will also get a promo. The cards will be available one two pack per person while supplies last. 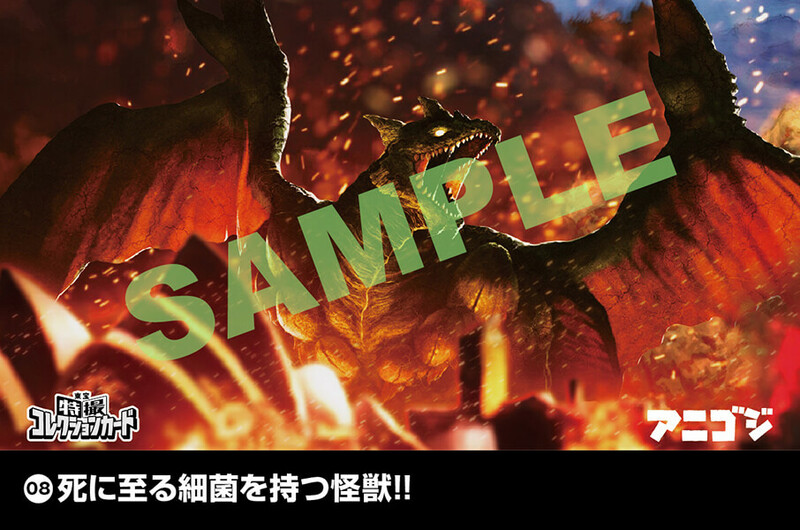 Update: Second week cards revealed they include Anime Mechagodzilla, Anime Ghidorah, Orga, and classic Ghidorah 1964 film image. 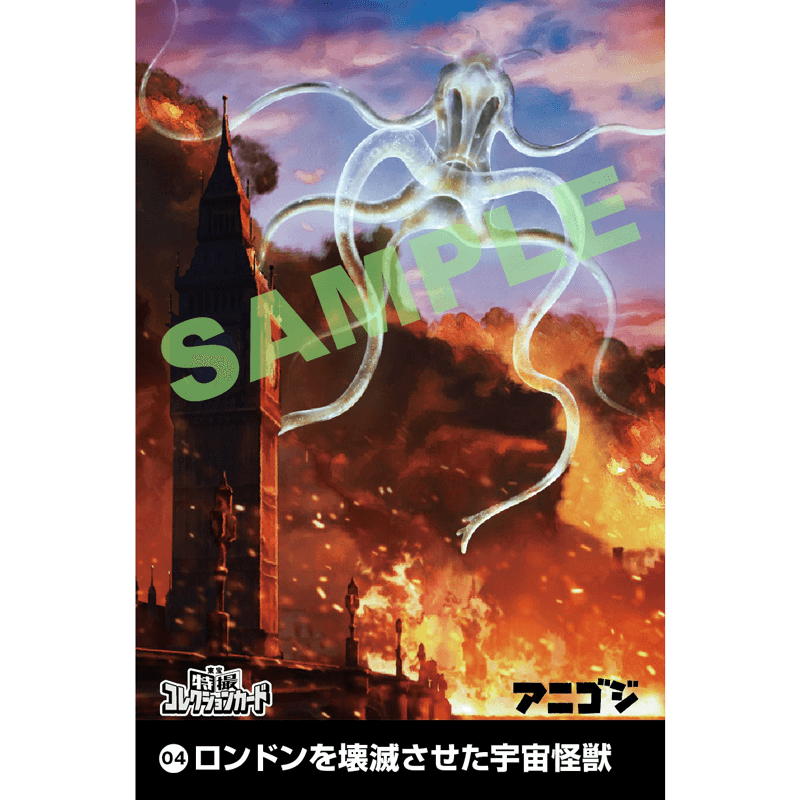 Also below is the back of the card as well. 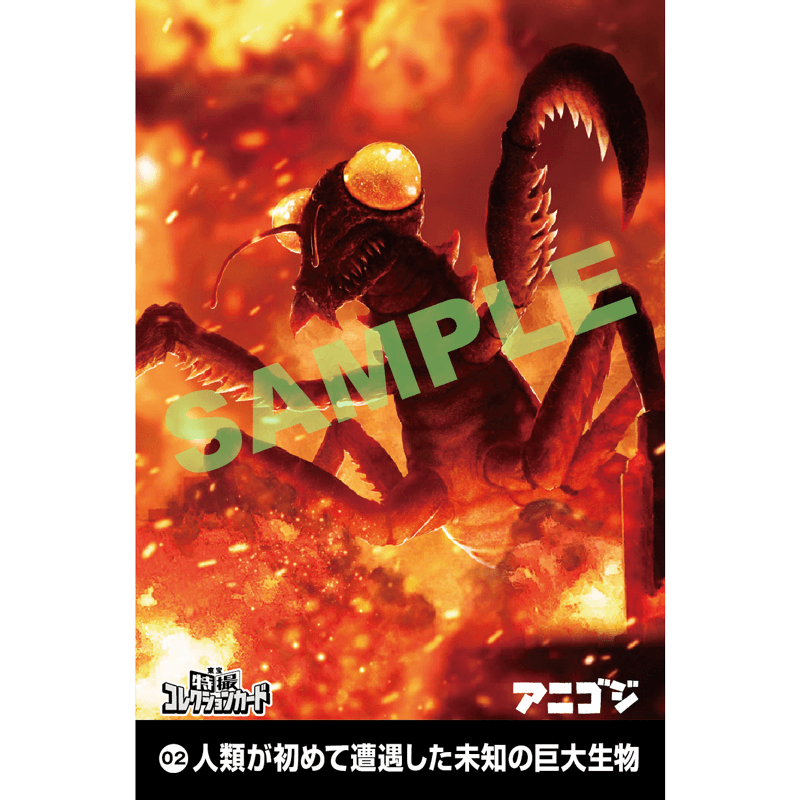 Update number two: The third week cards have been revealed as well as the fourth week item. 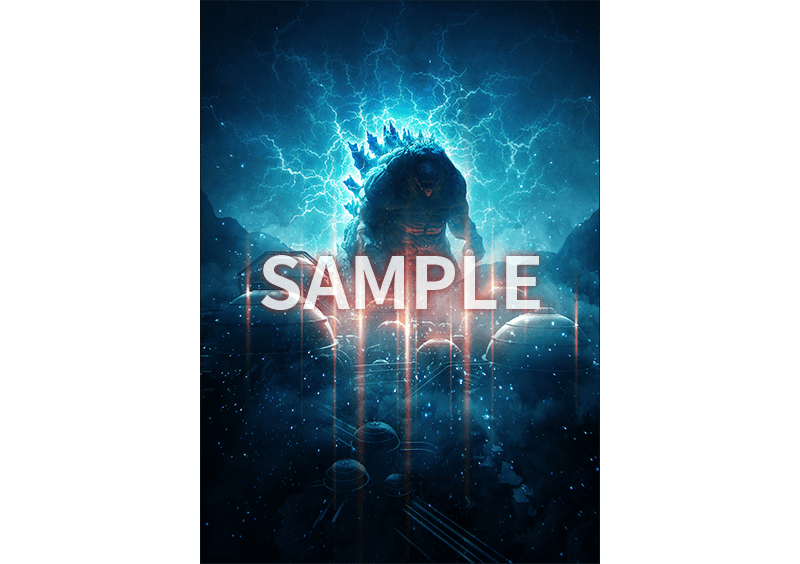 Dagahra and Godzilla Vs. King Ghidorah (1991) movie poster are the week three cards, week four is a "Survey report" that includes material inside (similar to one released previously).Images below. 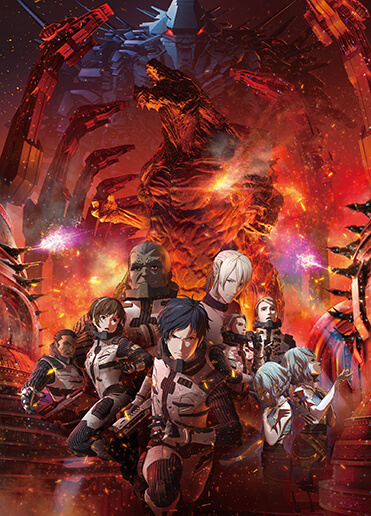 The first official trailer for Godzilla: The Planet Eater, the third of the three Godzilla anime films has been released check it out below. 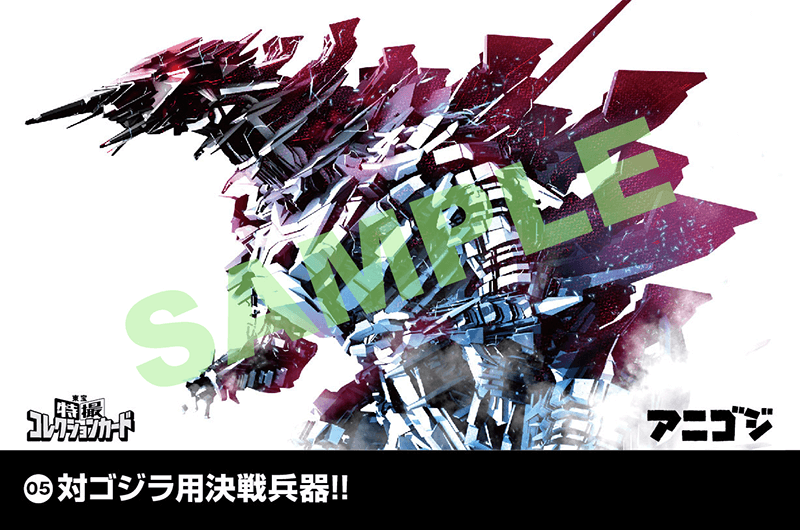 A special collaboration has been announced between Godzilla and Gundam, Gundam X Godzilla. 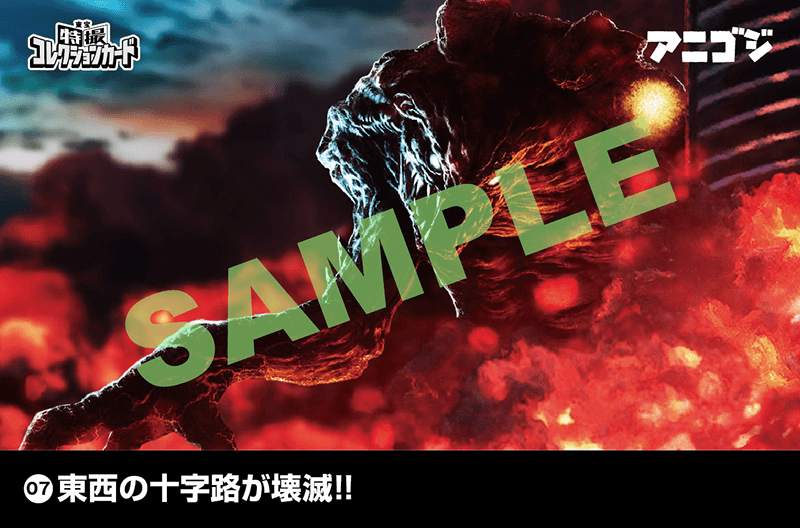 The collaboration will be, at least to start, a promotion for ticket purchases for either Godzilla: The Planet Eater or Mobile Suit Gundam NT anime films. 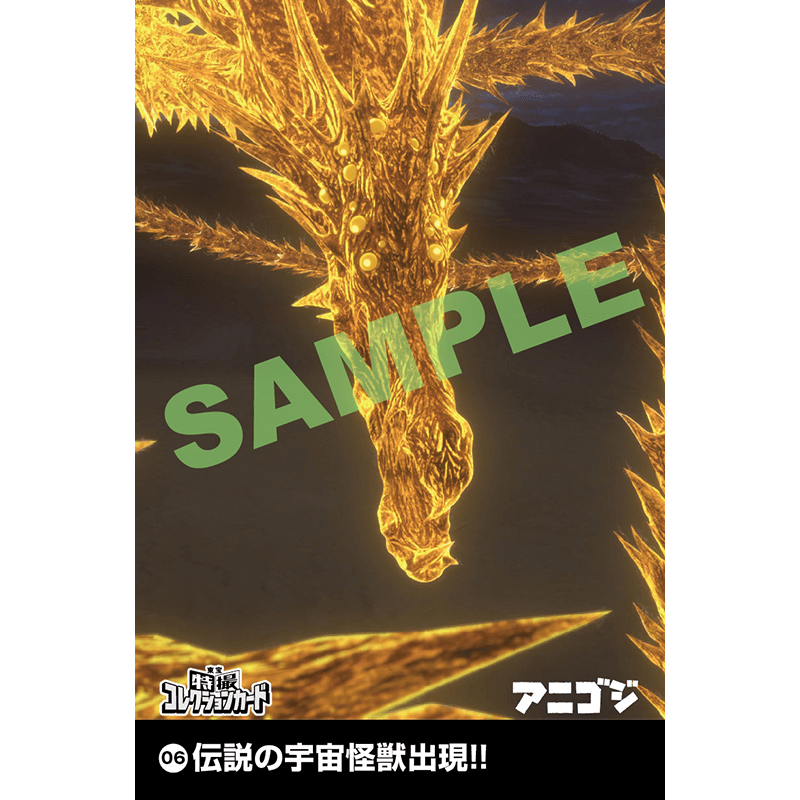 Special clear files with artwork by Hideki Tenjin will be a bonus with tickets purchases (full artwork above, individual file art below). 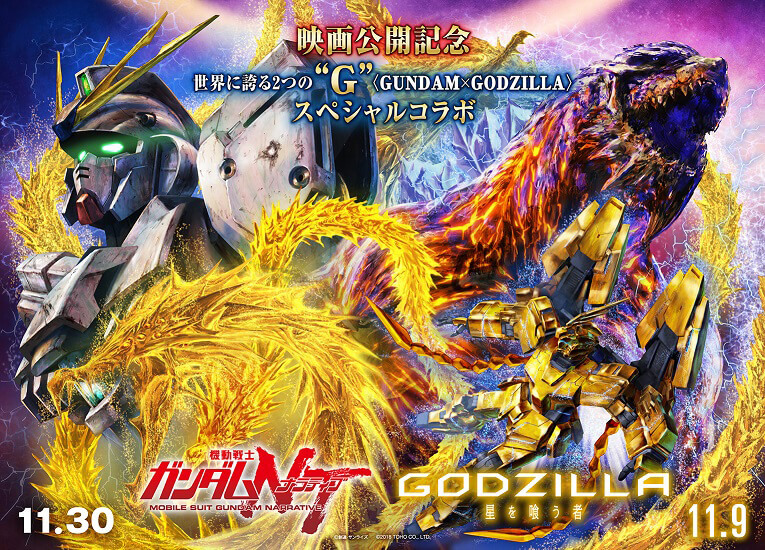 Pre-sales start Oct 19 for both films and run up to release dates for each film, Nov 9th for Godzilla, Nov 30th for Gundam, and can be purchase at the theaters showing the films or on the Major ticket site. 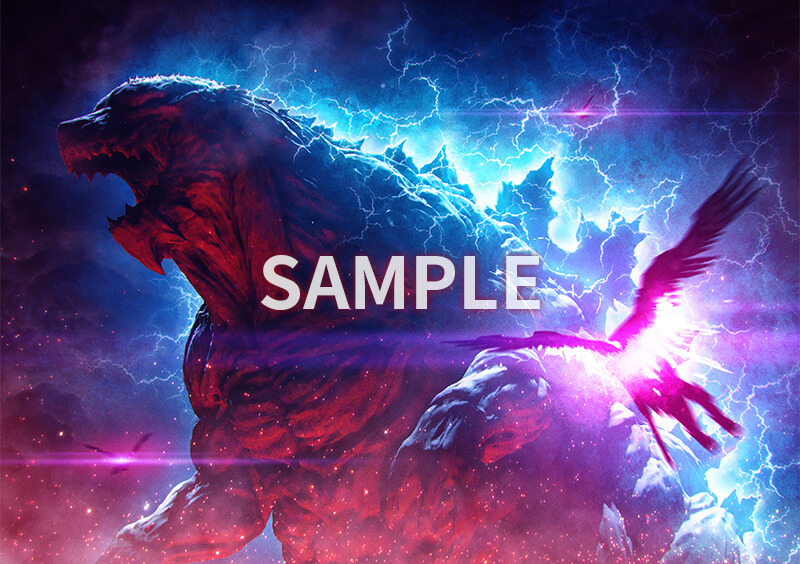 It is possible there could be more items for this cross promotions as there have been in the past with other Godzilla cross promotions, more on that as we find out. 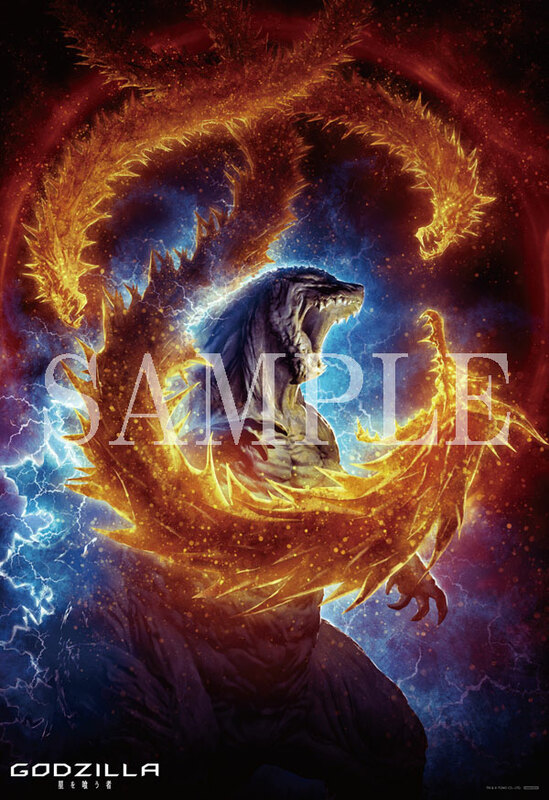 From the Godzilla Anime website, here is the synopsis as well as official posters for the third anime film (translated per the website). The human race is on the brink of oblivion. The "wings of its demise" descend before its eyes. 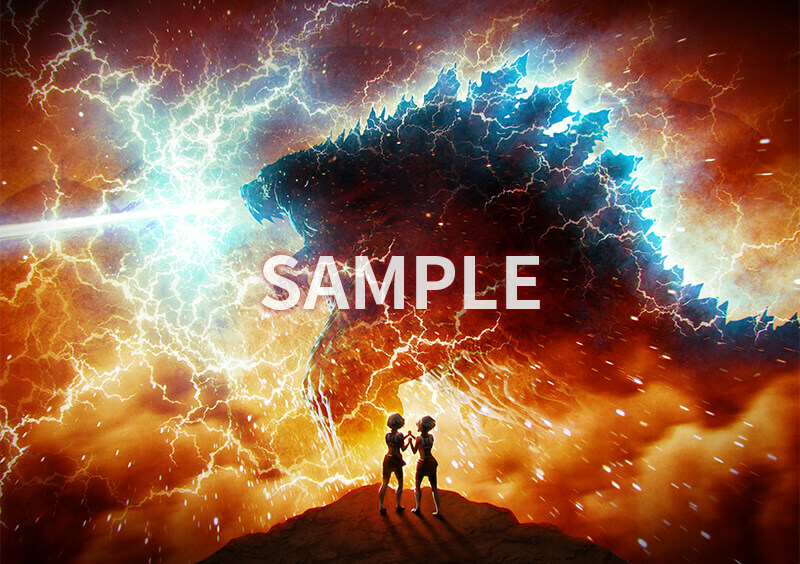 This is the concluding chapter of the animated feature film series, GODZILLA (aka "Anigoji"). 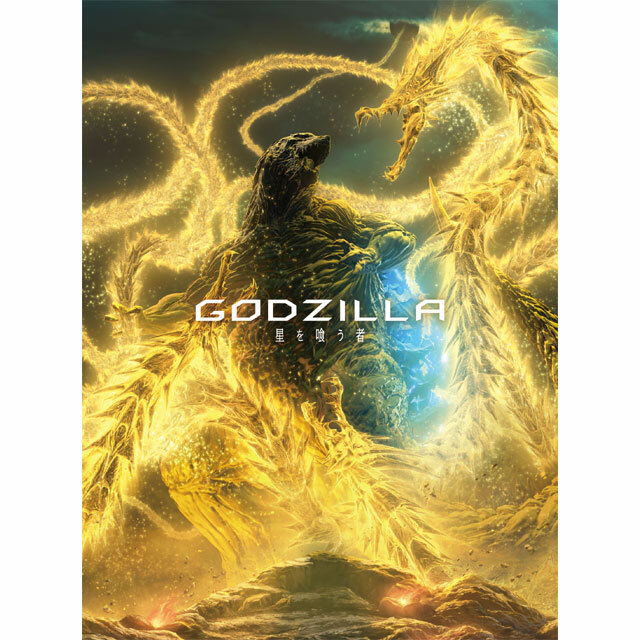 The final chapter, GODZILLA: The Planet Eater, finds the Mechagodzilla city, the peak of scientific evolution and mankind's best hope, 20,000 years into the future, the Earth is ruled by Godzilla. burned to cinders. 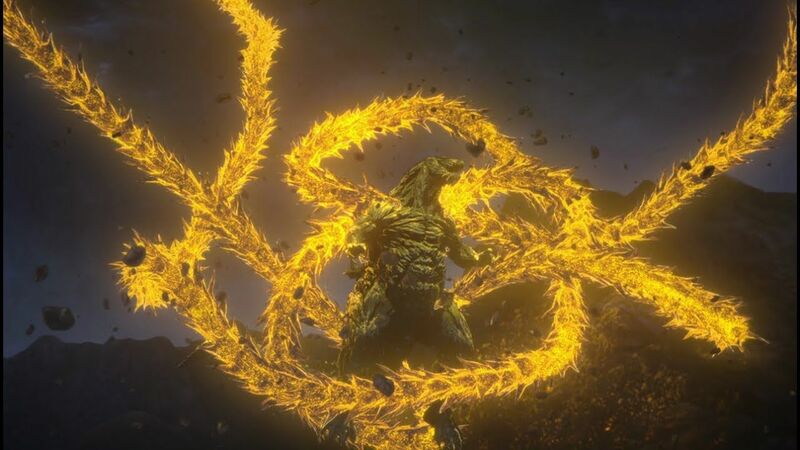 Godzilla Earth reigns supreme but he has one more challenge: the winged creature, KING GHIDORAH. 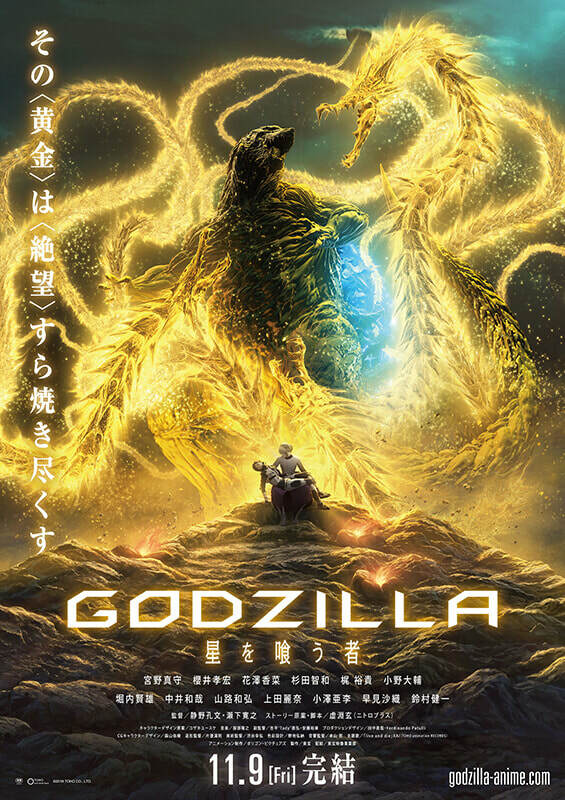 The Godzilla franchise entered new territory in 2017 with Godzilla: Planet of the Monsters. 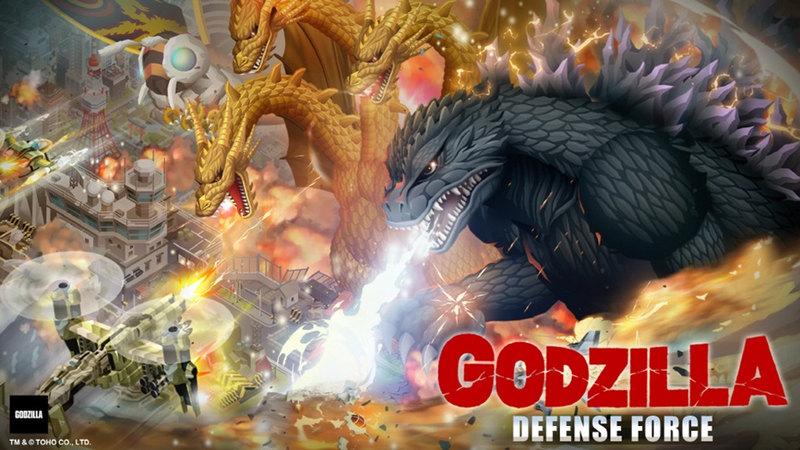 As the first 3DCG animated, feature-length Godzilla movie ever, it offered a visual experience that was met with widespread acclaim and wonder when it debuted in November, 2017. 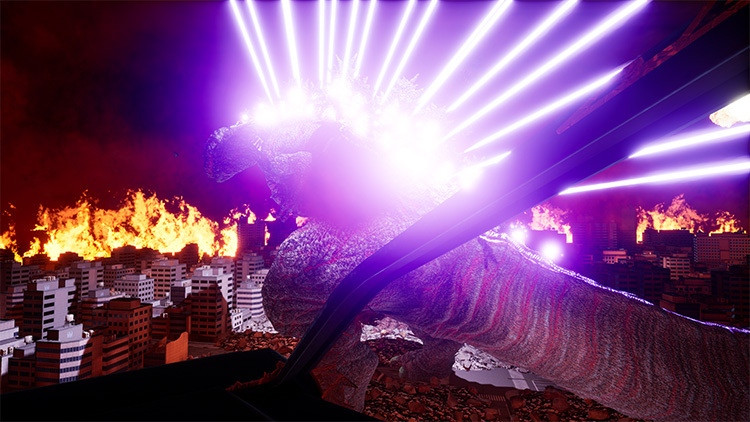 The second chapter, GODZILLA: City on the Edge of Battle featured a newly-interpreted Mechagodzilla that only an animated rendering could accomplish. 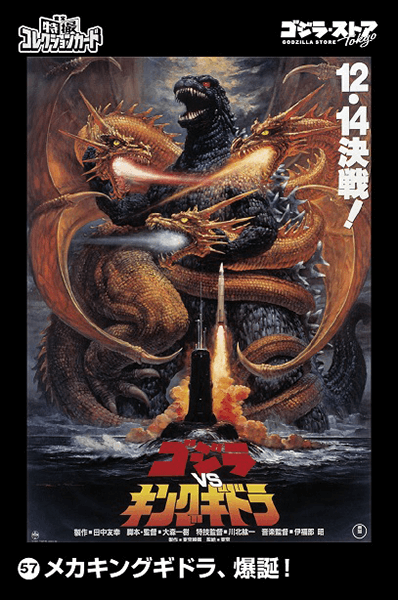 With the concluding chapter of the saga, the King of the Void (GHIDORAH) squares off against the King of Earth (GODZILLA). When the dust settles, will there be anything left for the human race? Directing the film are Kobun Shizuno, who last year earned the highest grossing Japanese movie to date with Detective Conan: The Crimson Love Letter ('17) and Hiroyuki Seshita who has burnished his reputation for gripping animated storytelling with such TV and film franchises as Ajin ('15 -16), Knights of Sidonia: Battle for Planet 9 (' 15) and Blame! ('17). Together this prodigious duo have forged a 3DCG genre of cutting edge expression. And now they bring all their talent to bear The story and screenplay was written by Gen Urobuchi, famously known for his Puella Magi Madoka Magica film series ('11 -' 14) and the 2012 animated movie, Psycho-Pass ('12). Urobuchi has a gift for creating mind-bending, innovative ideas that are sure to surprise and surpass audience expectations in this finale. A door opens and a golden seal shatters a star. But the search ends in vain, forcing them and their alien allies back to Earth. But 20 thousand years have passed in their absence, and the Earth is a wholly different place. 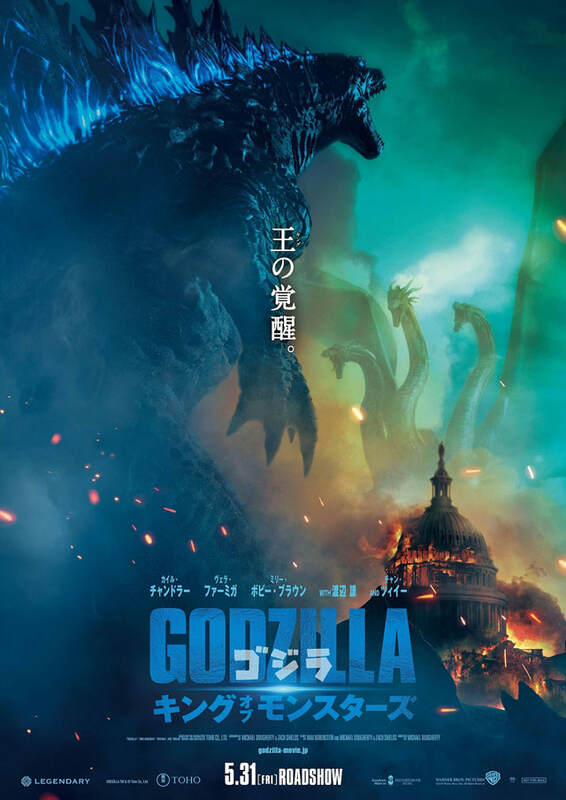 The planet's flora and fauna now embody and serve Godzilla. 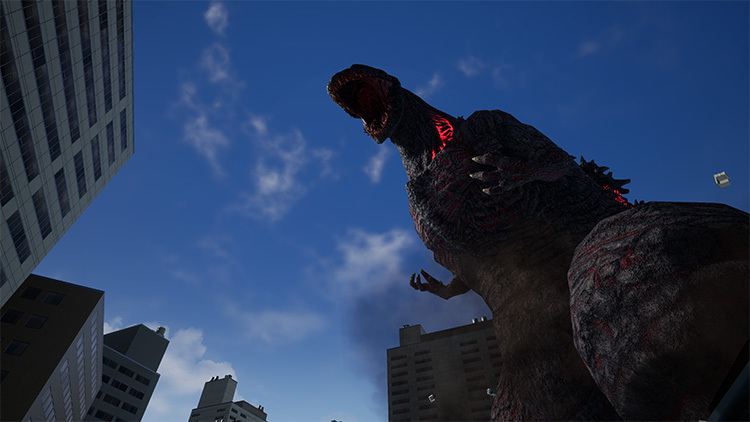 Earth is a monster's planet, ruled by the largest Godzilla ever at 300 meters in height. 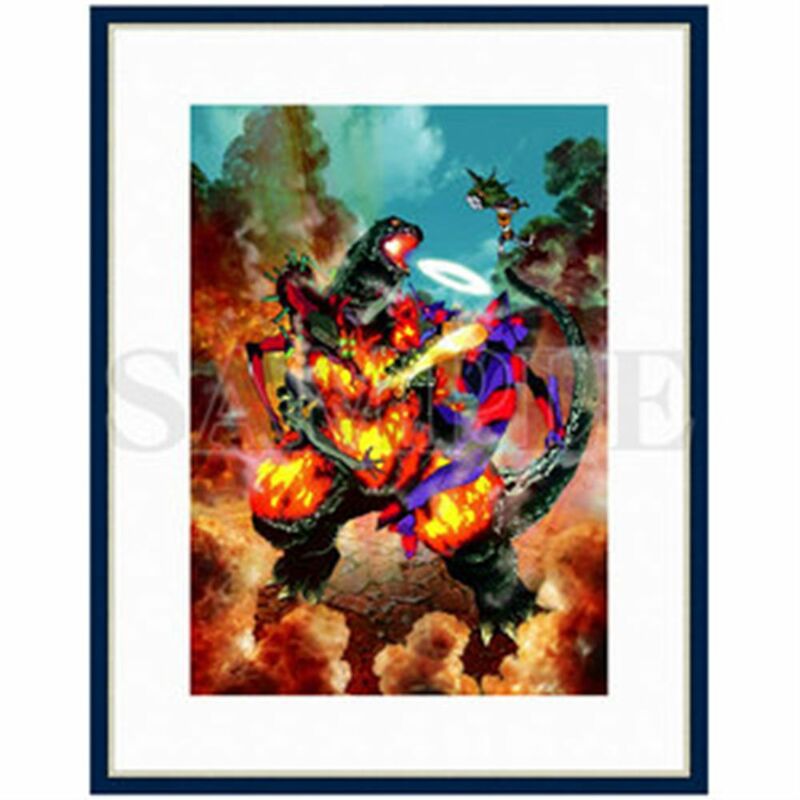 The Houtua twin sisters, Maina and Miana, lead him to the skeletal remains of the Mekagodzilla, Taken from the Mechagodzilla carcass, the nanometals have gradually rebuilding a "Mechagodzilla City," a potential weapon capable of destroying Godzilla Earth. 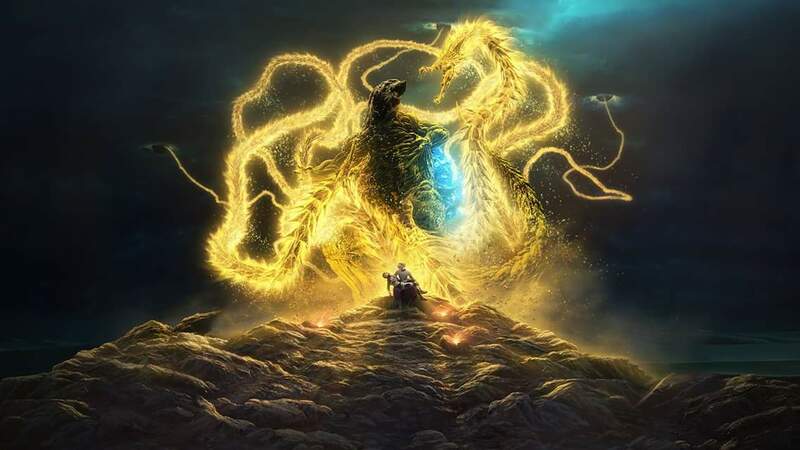 As the strategy develops, a rift forms between the humans and the Bilusaludo, one of several alien races that had joined the humans on their exodus from Earth. 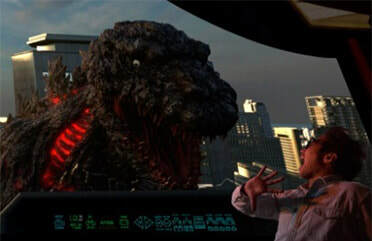 Their leader, Galu-gu, believes that the secret to defeating Godzilla lies in the use of Haruo ultimately uses his means for defeating Godzilla Earth to destroy the Mechagodzilla city so as to prevent nanometal assimilation, killing Galu - superhuman powers - but, Haruo resists, fearing that in defeating monsters, they must not become monsters themselves. The childhood friend, Yuko, has been absorbed by the nanometal integration and has fallen into a brain dead coma. 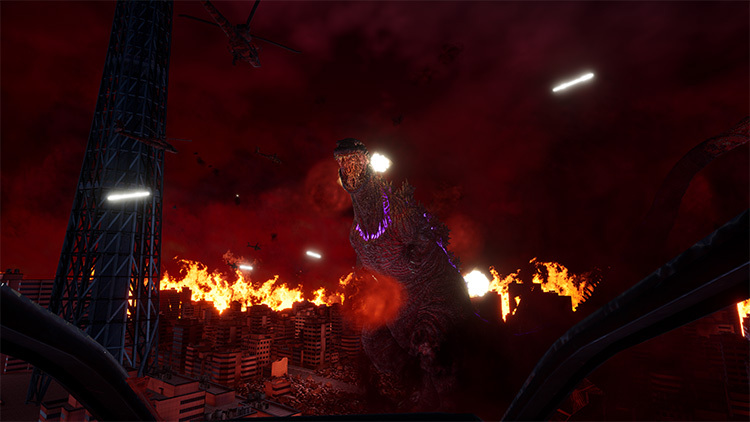 A new VR experience is coming to the VR Zone in Osaka and Shinjuku in Japan, Godzilla VR. 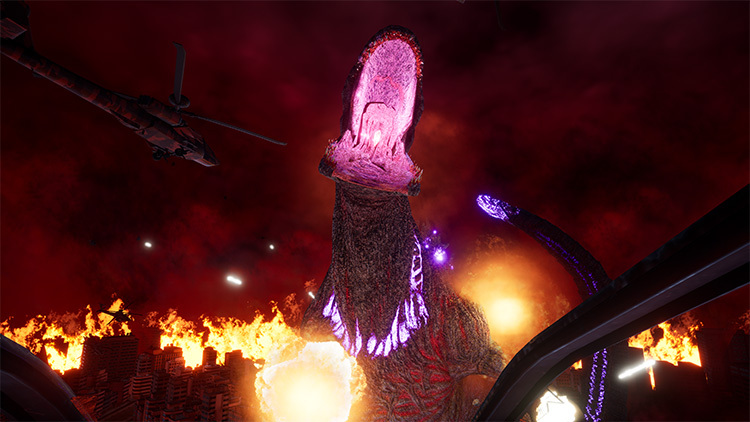 This cool VR (virtual reality) puts you right in the film Shin Godzilla as you fight the monster Osaka opens this fall with Shinjuku opening November. Check out the video and pics below.